﻿Siri on iPhone 4S lets you use your voice to send messages, schedule meetings, place phone calls, and more. Ask Siri to do things just by talking the way you talk. Siri understands what you say, knows what you mean, and even talks back. Siri is so easy to use and does so much, you’ll keep finding more and more ways to use it. The paragraph above is taken directly from the Apple iPhone homepage. It is a description of Siri, one of the most talked about features of the new iPhone 4S. I argue here that Siri is rich with cultural meanings, and that these cultural meanings reside at the intersection of gender, market economy, and technology. The first thing to note is that Siri (in the U.S.) has a female voice, but more than this, Siri is a “she.” Siri and her voice are first personified by the designation of this feature as your “personal assistant.” This personification has been quickly and widely accepted, with references to “her” rather than “it” on the interwebz. From a marketing standpoint, this is brilliant. To personify the technology is to facilitate an affective attachment between Siri and its human user. This creates a “stickiness” between the customer and the product. We not only love the iPhone for what it does, but for who she is. 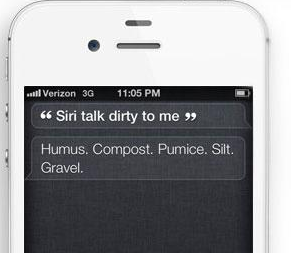 From a feminist standpoint, however, this alludes to a darker component to Siri. Just as quickly as siri has been personified and feminized, she has been sexualized. It is nearly impossible read a review, news story, or informal discussion of this iPhone feature without reference to Siri’s sexuality. This often manifests as discussions about her responses to sexual inquiries (see image below), or her general sexual demeanor. This is evidenced in the widespread use of the adjective “sassy” to describe Siri in the titles of numerous blog and news articles (Like this article on MacDailyNews for example). Importantly, this rampant sexualization is far less prevalent in France and the U.K. where Siri has a masculine voice. Rather, sexuality seems mainly to come in to play when these European users complain that they do not have access to the female version. The personification, feminization, and sexualization of Siri become especially problematic when coupled with the subservient role that Siri plays. As noted in the official description copied above, Siri knows what you say, knows what you mean, and is ready to be used in “more and more ways.” This is blatant in its sexism, objectification, and overall misogyny. But before we run at Apple with flaming sticks of feminist anger, we have to remember that Apple is first and foremost, a business. They want to make money. They want their products to be appealing. As such, they likely selected the female voice and marketing campaign based on extensive research. In other words, Siri, and the way that it (she?) is presented, reflects not the misogynistic attitudes of fat-cat business and advertising executives, but the desires, gendered norms, and cultural realities of the general U.S. population at this historical moment. 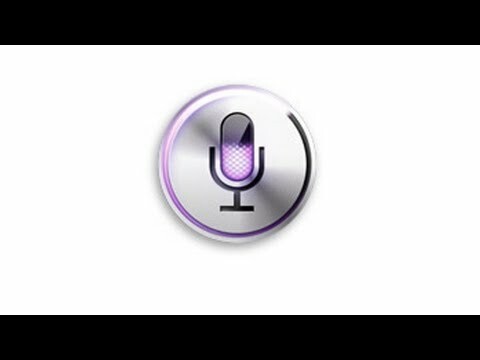 In line with the notion that Siri reflects contemporary U.S. culture, it is interesting that Siri’s voice is not fully human, but clearly part machine. This was an intentional choice on the part of Apple, and it signifies high technology. It signifies that your assistant/companion is beyond human. Moreover, it signifies the increasing comfort with which we embrace human/machine hybridity. Most interesting, however, is how we can advance beyond the human/machine dichotomy, and yet maintain gender binaries and their hierarchical distinctions. Siri stands as strong empirical evidence against Haraway’s utopian thesis of the cyborg as a mechanism of liberation. This particular example is especially poignant because, as with Haraway’s cyborg, the technology for Siri comes out of the military industrial complex (the development of Siri was funded by the military agency DARPA). In short, Siri, as with other cyborg technologies, does not break down categorical boundaries and human biases, but embodies the cultural realities of human creators and users. Siri is now "training" "her" users through reinforcement and repetition (unconsciously, likely) that "the female" doesn't fully listen, gives the wrong responses, and "obeys." That would be academic weren't it not so prevalent an attitude in the tech community towards women--still....today. They should have offered two voices and people could pick what they wanted. "Apple has decided that Brits trust an authoritative male voice, while Americans traditionally favour and are more receptive to a female voice." Sally raises a provocative issue: Apple obviously has the tech to give consumers the option to choose between genders for Siri, yet they seem to intentionally deny consumers this choice. Why? Right! Not hard to offer the choice either. Could have been or could still be a pre-download option. Also interesting that a company like Apple, who claims "innovation" would be so "traditional." As to why Apple didn't give us a choice of voice, that's because Apple doesn't like to give us a choice about anything. Which is a legitimate stance, by the way - people often love Apple products specifically because they are already designed. When you want an Apple product, you never get overwhelmed by a giant list of specifications, the way you do when you go to the website of another computer company. @James You are absolutely right...but this seems like such a simple choice!! Do you think that they will eventually offer options?